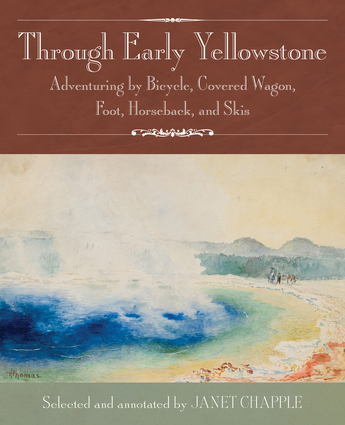 Honorable Mention, 2016 Foreword Indies Award in Travel An anthology of entertaining accounts of travel through Yellowstone, this book takes readers back to 1871, before it was a tourist destination, through the time when autos were allowed into the park. The adventurers include an intrepid mother who posted the sign "Park or Bust" on her family's covered wagon, a strong cyclist and a hiker who traversed the whole park for fun, an expert guide on skis, and a New York horsewoman who presented park management with a plan for an interconnected circuit of bridle trails. Along with numerous historical photos and artwork, the book features a color gallery of watercolor paintings by Thomas Henry Thomas from 1884 and have never been seen outside of Wales. Janet Chapple is a Montana native whose parents once worked at Old Faithful Inn, the historic lodge in Yellowstone Park. She is the author of Yellowstone Treasures and the cotranslator of the English edition of Yellowstone, Land of Wonders, an 1883 travelogue to and through Yellowstone by Belgian travel writer Jules Leclercq. She lives in Oakland, California.